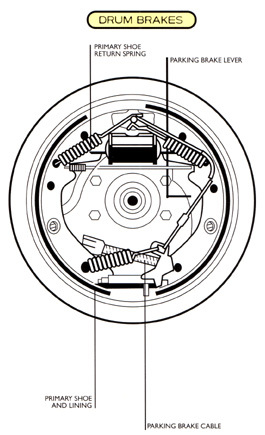 Found on the rear wheels, brake shoes push against the inside surface of a rotating brake drum to slow the vehicle. Most newer model vehicles are equipped with computer-controlled Anti-lock Braking Systems (ABS) and/or other traction control devices. This safety feature is designed to prevent wheel lock-up and skidding when you apply sudden pressure to your brake pedal. 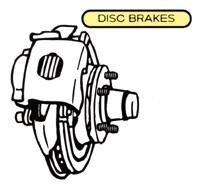 How do my vehicles brakes work? If you hear a grinding or squealing noise when you press on the brake pedal, your vehicle may have a brake problem. You could also have brake problems if you have to depress the pedal all the way to the floor to stop or slow down, your car skids, pulls to one side or takes longer to stop. Of course, if you have a brake warning light that will alert you to a brake problem, but conscientious drivers will be able to discern a problem before that light comes on. How will Cars of Sarasota fix my brake problems? Cars of Sarasota will perform a free inspection of your brake system - any time. At the first sign of trouble, bring your car in to Cars of Sarasota, and we'll take care of the rest. In fact, just ask our technician to check your brakes during every other oil change-- it won't cost you a dime for us to take a look. If you do have a problem with your brakes, we'll test your brake system, determine the cause of the problem, and provide you with our recommendations and all of your options before we begin any repairs. If you decide to let Cars of Sarasota handle your brake job, we'll fix or replace only what's necessary using MAP guidelines.